The 9th Ohio of Van Derveer’s brigade charges down the ridge at the Confederates as soon as it comes on line. 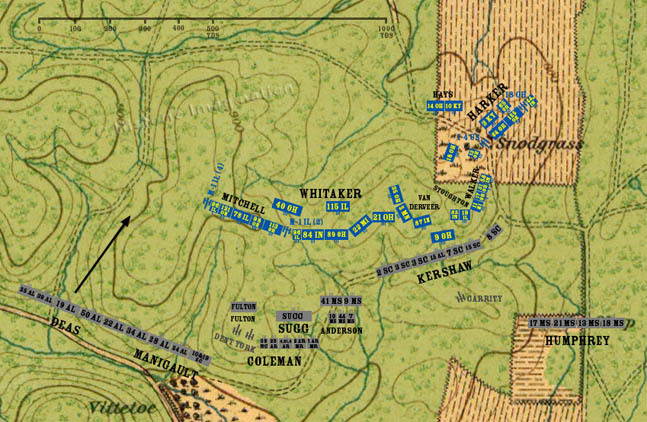 Steedman’s division reforms and settles into position on the ridge. The Confederates reform for another assault. Deas’ Brigade begins its advance prematurely.